Fun Hunt in Madeira a success! 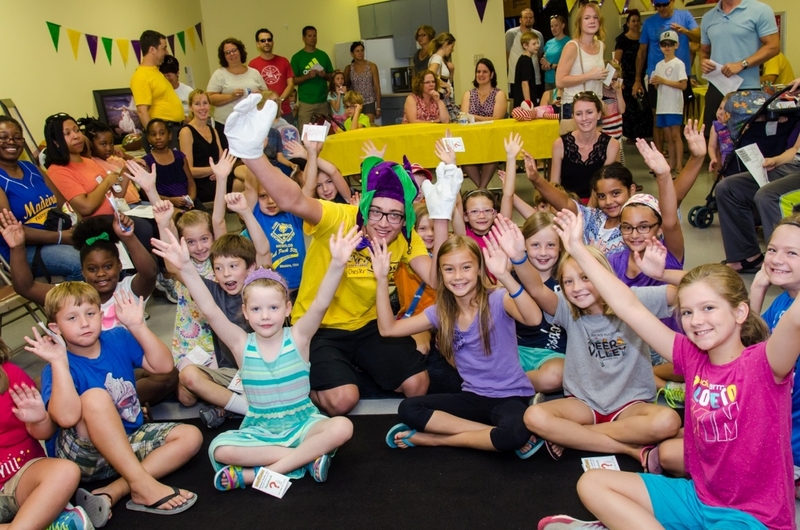 Thanks to all who participated and volunteered at our National Riddle Day event on August 1st. Kids got the chance to "hunt" for riddles at 11 merchants in downtown Madeira. Each participant tried to complete a passbook by visiting the riddle stops and answering riddles. 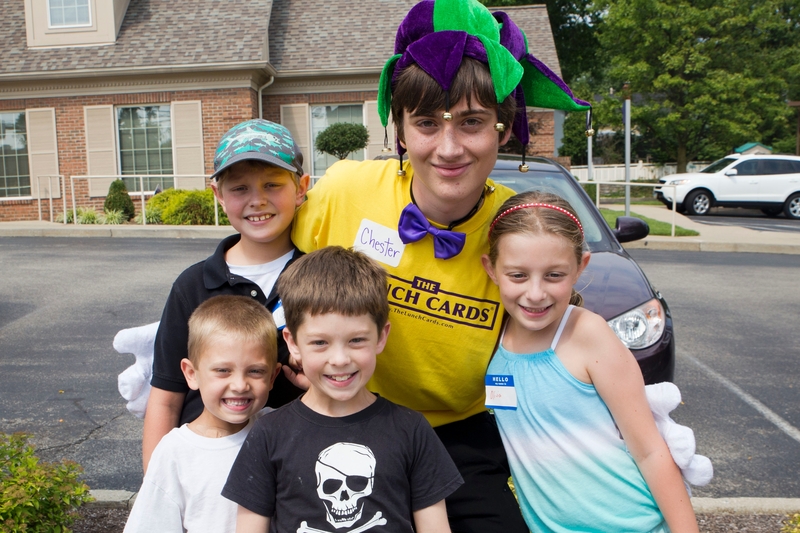 Everyone got prizes and attended a cookout co-sponsored by U.S. Bank Madeira. 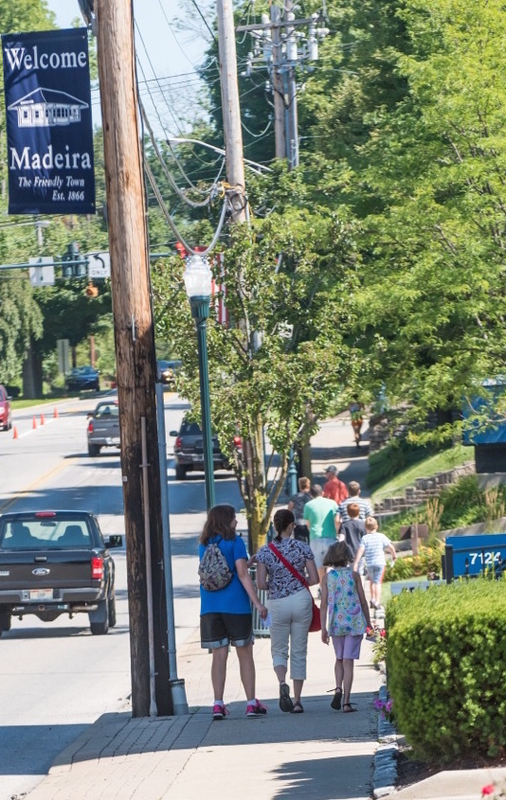 Thanks also to our other co-sponsors: Madeira Kroger, Gigi's Cupcakes, Depot Barbecue, Domino's, The Bookshelf, Coffee Please, Frieda's Desserts, Absolutely Needlepoint, Adrien Pharmacy, Creativities, Cheers to Art, A TAVOLA, and PNC Bank. All photos below from the event are by CherryBlossom Design Photography. Participants gathered with Chester the Jester at Madeira City Hall to get ready for the Riddle Day Fun Hunt! 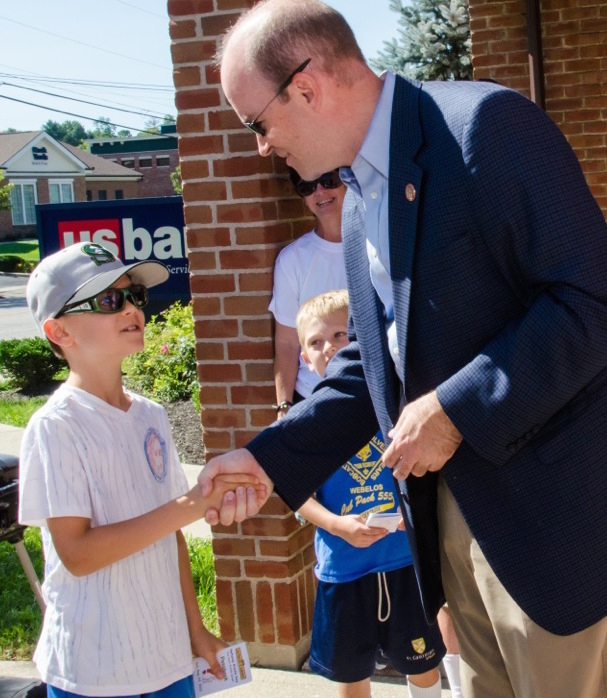 Rep. Jonathan Dever of Madeira was a guest riddle reader at US Bank Madeira. Kids got stickers in their passbooks for guessing riddles. Participants walked to Riddle Stops to answer riddles. Kristi Kane Benson does not remember the first riddle card she put into her eldest child’s lunch more than a decade ago, but she does have a favorite riddle card among the thousands she has written since then. The small cards, which she cut from heavy card stock paper, contained riddles, jokes and special notes to her three children as they went off to school each day with their packed lunches in Madeira. Each note was closed with a sticker and tucked into the lunch bags. The cards worked, and in fact, they brightened the day of the other children who sat at the lunch tables with her kids. Friends could not wait to hear the new riddle cards and try to guess the answers. The cards were a hit at the lunch tables and soon became a staple of her children’s lunches over the years along with the peanut butter and jelly sandwiches, juice boxes, and carrots. At the end of her first school year, Beth, her oldest daughter who is now 19, presented her with a bag containing all of the riddle cards her mom put into her lunches that year. They became collector’s items. One mother asked her at a school event about the cards and where she might buy them, only to learn they were not a product for sale. Ms. Benson decided that others might also be interested in having riddle cards for their kids, too, especially if they were ready-made. So, last year, she put her publishing background and graphic design degree from the University of Cincinnati’s DAAP College to work to create a product that busy parents could buy that would replicate the riddle cards she hand made for her own kids. Thus were born The Lunch Cards. 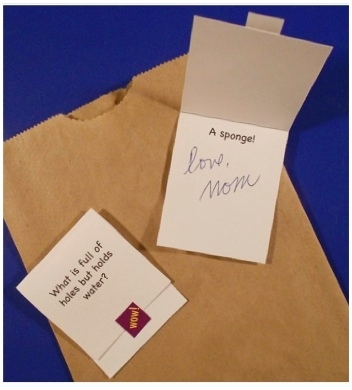 She calls them “mom-made in Madeira” and believes that more parents would find it easier to reach out as she did if the riddle cards were already made and needed only a small note from a parent before the sticker was affixed and the card was put into the lunch bag. “I wanted to find a way to make it easy for busy parents to brighten the day of their children by simply selecting and signing a riddle card for their child’s lunch,” she said. The Lunch Cards have 45 riddles in one of each themes: Classics & Brain Teasers, Sports, Nature & Animals, and School/Holidays/Vacations. The riddles have been called “corny but adorable,” and Ms. Benson finds that adults also enjoy the riddles and often try to figure out the answer. She has put them into the lunch of her husband and has sent them to friends and family. The Lunch Cards have now become a small enterprise for her and her husband, Andy. The Lunch Cards are available on the web at www.thelunchcards.com and also at Joseph-Beth Booksellers in Cincinnati, Northern Kentucky, and Lexington, Kentucky. “It’s been fun creating a new product and business,” she said, but mostly, she says it is gratifying for her to see her idea made into reality.